Brian Aberback from NJ’s Steppin’ Out magazine recently spoke with KISS’ Paul Stanley. An excerpt can be read below. Steppin’ Out: What is the main message you want people to take from your book? Paul Stanley: I wanted to be able to write a book that shows how you can go through unsettling times and turmoil and come out on top. There’s no substitute for determination and drive. My life has a happy ending. I thought my story was something people could benefit from. My 19-year-old read the book and I got the response I hoped for. He thought it was fabulous and very inspiring. Steppin’ Out: From the very beginning you were faced with obstacles. You were born with microtia, a birth defect in which part of your right ear is missing, and you’re also deaf in that ear. How did that affect your musical ambitions? Paul Stanley: It never affected my music. It affected my social interactions, how I was seen and sometimes ridiculed. Music became my refuge. Although I may not hear music the same way that someone who has hearing in both ears hears it, I never missed anything because I don’t know what things would have sounded like otherwise. Steppin’ Out: You’re the last of the original members of KISS to write a book. Have you read the other guys’ books? Paul Stanley: Gene’s book is understandably written from him being in the center of everything, because that’s what he’s like. The other two [by guitarist Ace Frehley and drummer Peter Criss] go from being questionable to absurd. When people’s recollections are tainted by substance abuse they’re not usually people an attorney wants to put on a witness stand. The few bits I read were so ridiculous that it was frightening to think that either of them believe it. For a lot of reasons I feel I’m more objective. Steppin’ Out: You’re being inducted into the Rock-and-Roll Hall of Fame, and you’re furious with the Hall. Why is that? 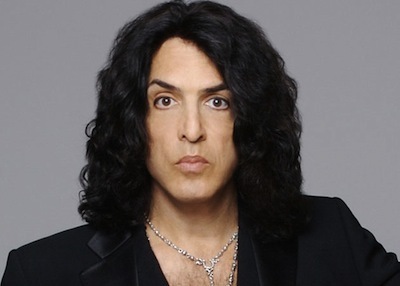 Paul Stanley: They are only inducting the original members. It’s disrespectful. We never could have started without [original guitarist and drummer] Ace Frehley and Peter Criss, but this band has a 40-year history that should not be ignored. The Hall of Fame people said that inducting other members who were in the band for decades and played on multi-platinum albums like [guitarist] Bruce Kulick and [late drummer] Eric Carr was a non-starter. That’s not how it has worked with other bands. There’s a commune of Grateful Dead members in there including a writer who never played an instrument and a bass player in Metallica who had only been in the band for 7 years when they were inducted. We are in the Hall of Fame not because those people want us there but because it began to look absurd not having us there. To have a band that many pop bands site as an influence and to be ignored year after year takes a lot of effort. They also wanted to strong arm us into playing with the original guys onlhy in gear and makeup and that was a nonstarter. I’ve been doing this 40 years with total pride and confidence and it would be rolling the dice.Whether it’s official or not I will be there to celebrate 40 years of this band. The entire interview runs April 9th at so-mag.com. Paul said he wanted to write a book “that shows you can go through unsettling times and turmoil and come out on top.” Yeah, ’cause a book like that has NEVER been written. His two former band mates, whom he likes to denegrate every chance he gets, have BOTH written books that illustrate that ideal perfectly. If anything, their books show it more, because they had a lot more turmoil DURING the KISS years. I’ve literally been a lifelong fan of that band. But I’m so sick of Gene’s and Paul’s attitudes that I could puke Kabuki make-up. I’ll still be a fan of the earlier years, but going forward, I’m going to look into getting an honorable (or dishonorable) discharge from the KISS Army. Its rock n roll okay morality cmon. .!!! Peter and qce the high road cmon !!!!! Your in a rock band !! !